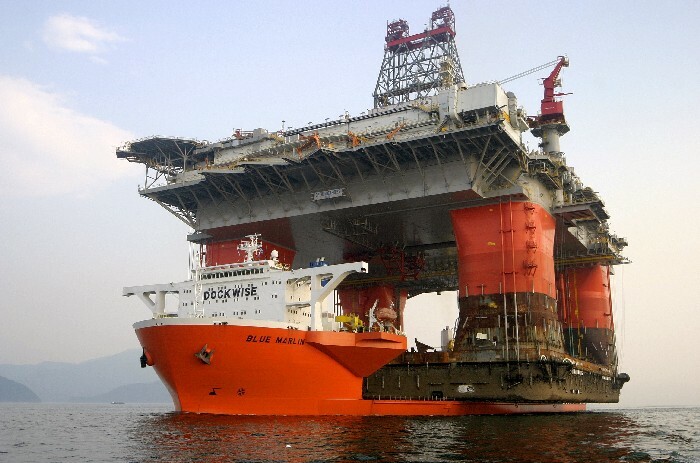 Who are you and where's your rig drilling? 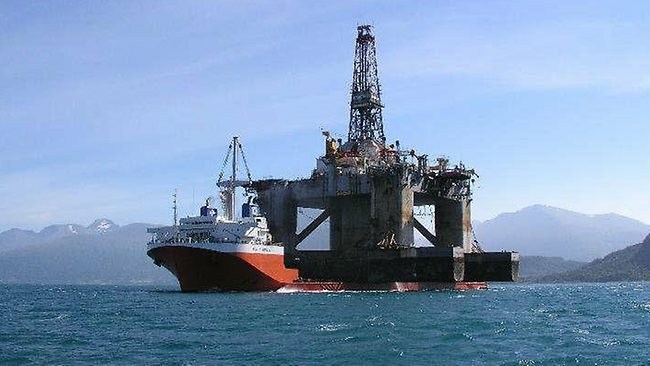 Minimum 35 years of experience offshore and land rigs. Heavily experienced Contract Drilling Manager in all environments and geographical areas, having worked extensively Domestically and in both Hemispheres with all types of rigs, including land, helicopter, barge, platform, jack-up, submersible, drill ship and Semi-Submersible with National Crews of many different Nationalities. Broad experience in the construction of all types of rigs, having been a General Manager of a land rig construction entity and a discipline manager responsible for the construction of the complete drilling package on a number of Drill Ships, Jack Up Rigs, Semi Submersible Rigs and Land Rigs as well as Site Construction Project Manager for the two, Ocean Rig owned, Bingo-9000, Semi-Submersible Rigs. Two of the largest, dynamically positioned, Semi-submersibles in the world. Generated and executed budgets for operating rigs, rig modification projects and new build rig projects as well as budgets for a complete drilling entity and consistently complied with those budgets to Owners satisfaction. Must possess the ability to solve problems as they arise in a manner that is supportive of Executive Management’s goals and objectives, and is also acceptable to other involved parties. Well versed in proper contract administration and contract protocol, as well as the legal resolution of disputes. Must possess very good marketing and people skills. Fully committed to delivering maximum quality and performance in the areas of budget compliance, marketing, contract execution, construction quality, operations quality, client satisfaction, safe operations and honesty in reporting. • International standard food & accommodation, free laundry service, etc. high as the company is expanding rapidly. Please note that this job is open to only WESTERN EXPATS (BRITISH, AMERICAN, CANADIANS, WESTERN EUROPEANS, AUSTRALIANS AND NEW ZEALANDERS). If interested, please submit your latest resume and contact details. resume with the above requested details included in it. You will be an integral part of the real time drilling operations. You will monitor and analyse minute by minute telemetry from a number of wells being drilled simultaneously. Using this information you will be responsible for anticipating changes to the well plan, troubleshoot and resolve problems occurring at the wellsite. You will work as part of a larger team of Senior Drilling Engineers and together you will control all drilling operations in Western Australia and the Philippines. Economy class Air Tickets provided for field breaks. minimum 3 years experience in similar positions. Effective communication skills (written & oral) in English. Financial budgeting & forecasting skills. Assets & drilling equipment Preventive Maintenance skills. Strong Management & Technical leadership. Computer skills in information systems. Demonstrated ability to work in a multicultural environment. Willing to work beyond the hour of duty if the activity so demands. Valid Well Control Certificate (Supervisor's Level). Must have the capacity to run and control at least 2 to 3 rigs. Petroleum Engineering is a recent development in the field of technical education which is becoming very much popular among young masses. Petroleum engineers are involved in the exploration and production activities of petroleum which is an upstream end of the energy sector. The study covers a wide range of topics, including economics, geology, geochemistry, geomechanics, geophysics, oil drilling, geopolitics, knowledge management, seismology, tectonics, thermodynamics, well logging, well completion, oil and gas production, reservoir development, and pipelines etc. With the development of new technology, Petroleum engineering has become very much useful in the extraction process. Improvements in computer modeling, materials and the application of statistics, probability analysis, and new technologies like horizontal drilling and enhanced oil recovery, have also improved the toolbox of the petroleum engineer in recent decades. Three are few institutions in India, offering B.Tech/M.Tech programs in Petroleum Engineering. The courses are taught by professionals from petroleum industries including ISM, ONGC, IOC and also academicians and researchers from several global centres dealing with petroleum technology and research. The courses in Petroleum engineering are offered both at undergraduate and postgraduate level. Like the degree program of any other engineering branches, the B.Tech program in Petroleum Engineering also requires a minimum + 2 qualification in Science stream with Physics, Chemistry and Maths with high percentage of marks in aggregate. M. Tech (Petroleum Engineering) is offered by Indian School of Mines University, Dhanbad. The course is open to Petroleum, Petrochemical, Chemical and Mechanical Engineering graduates. Non Petroleum Engineering graduates have to undergo some introductory papers. One can also pursue PhD program after completing post-graduation studies. The research career is tough but rewarding. Petroleum engineering, being a rare field of engineering study, offers quite good job opportunities to the graduates. Freshers may find ample scope in public undertakings as well as in corporate sector that deal with petroleum exploration and extraction. A Petroleum engineer’s work involves bringing oil or gas from the reservoir to the surface economically, safely and with minimum damage to the reservoir and facilities. Other activities include management of material resources and contractor relationships and also supervising drilling personnel. They work in multidisciplinary teams alongside other engineers, scientists, drilling teams and contractors. Despite the low number of potential job openings for petroleum engineers, the field is always in short supply of qualified entry level professionals. The world continues to demand safe, affordable energy sources and that will always make a degree in petroleum engineering a valuable investment. And the rewards for such a career are going to be long-term. There are many challenges in this field; however, petroleum engineers apply their technical skills and knowledge to solve these engineering challenges. Apart from opting for professional career, one can also do research work for further development of the field. He/she may join research labs as scientists or research fellow to carry out the R&D processes. Petroleum engineers are among the highest paid professionals in recent times. The reason for the high remuneration is due to relatively low number of qualified workers in the industry. Almost all graduating petroleum engineers go on to find employment. In India Petroleum engineers are paid monthly salary between Rs.25, 000 and Rs.40, 000 apart from other perks and benefits. The average starting salary of petroleum engineers in developed countries is about $50,000, and the mean annual salary is more than $80,000. Here is a list of top institutions offering courses in Petroleum Engineering and technology. You can also check list of vast number of engineering colleges located in various states and major cities of the country which might be offering courses in Petroleum engineering. Fox Oil Drilling relies on its 43 years of experience to do the job right the first time. We pride ourselves on our professional drilling teams, high-tech modern rigs and a company-wide policy of zero tolerance. Over 100,000 unique visitors per month! your questions, remarks and opinions. We will make all efforts to respond to you. Welcome to our site!